IRVINE, Calif. (July 31, 2018) – As part of the continual evolution of the Mazda brand, the company today announced a shift in its motorsports strategy that will see the company wind down its involvement in the Mazda Road to Indy, including the USF2000, Pro Mazda and Indy Lights championships at the end of the 2018 racing season. Formally established in 2010, the Mazda Road to Indy created a path for over 250 young drivers from USF2000 all the way through the IndyCar Series and the Indy 500. 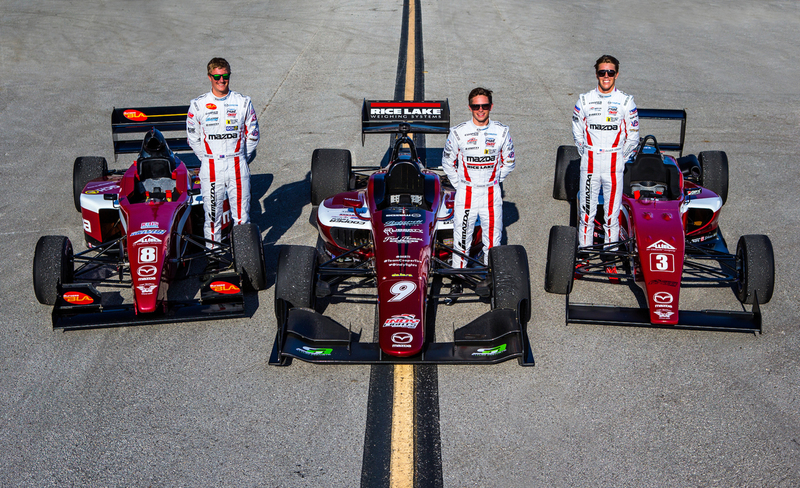 Seven drivers have taken the Indy Lights championship and the Mazda Advancement Scholarship that came with it to make their Indianapolis 500 debut. The Mazda Road to Indy has produced 20 champions at all three levels, all advancing their careers with the help of the over $12 million dollars that Mazda has invested in open-wheel racing. While the Mazda Road to Indy has proved a successful program, the Mazda brand has continued to evolve, leading to the decision for the company to focus its resources in other motorsports initiatives. While Mazda’s participation in the Mazda Road to Indy will conclude at the end of this season, the 2018 USF2000, Pro Mazda and Indy Lights champions will receive Mazda Advancement Scholarships for the 2019 season. The annual $200,000 Mazda Road to Indy Global shootout will also be held in December of this season. 09/21 Mazda Top Gun, Masahiro Sato Grabs First IPS Victory! 02/24 Compete in the Fuji-Chan in a Rental Racing Car! 02/22 Mazda wins famous Trophée Andros ice racing title. 04/07 Welcome to our new Website.